Lillian Vernon knows how much it can mean to give the right gift at the right time, and one of the hardest gifts to give can be for a romantic or sentimental occasion. If you need a one-of-a-kind gift idea for a loved one, our personalized gifts for her are a great place to start! Tasteful and elegant gifts like engraved silver bracelets or glass treasure boxes are sure to show how much you love her. 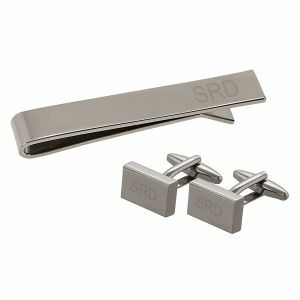 Maybe a compact flip brush with her initial engraved on it or a photo key ring is more your style. Whichever way you go, she's sure to love the personalized gift that shows you took the time to find something truly unique!